Oval NASCAR NASCAR Truck Series What does it cost to rent a NASCAR truck for the Eldora Dirt Derby? 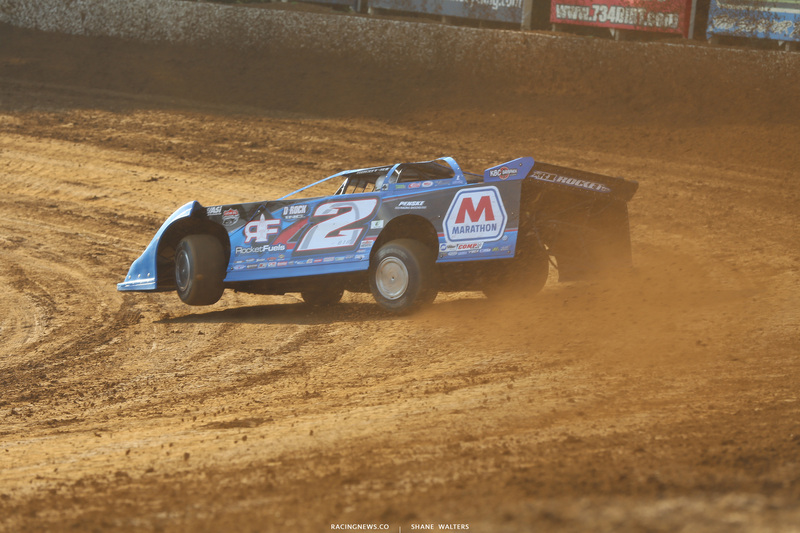 Nick Hoffman is a dirt track racer from the St. Louis area that made the move to Mooresville, NC in pursuit of a racing career. 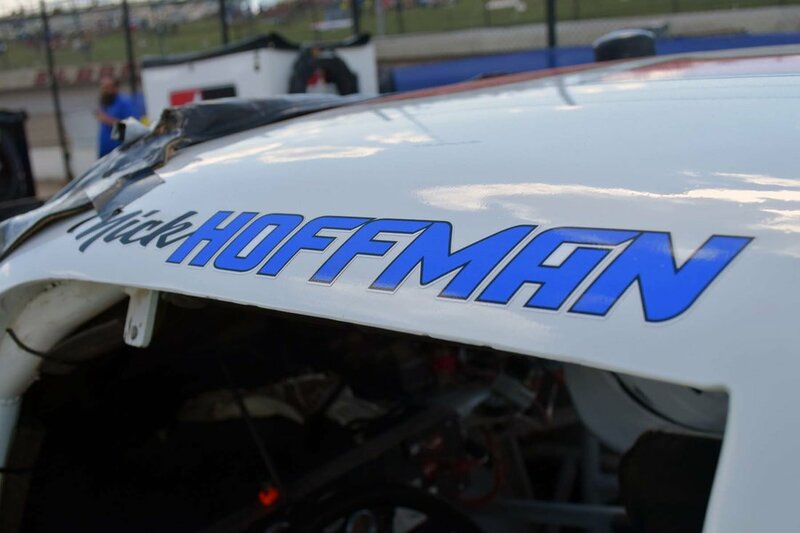 When he’s not behind the wheel of a dirt late model or dirt modified, Hoffman is still working. He’s the owner of Elite Chassis. Hoffman went in big in July. He rented a NASCAR Camping World Truck Series machine from MB Motorsports. He partnered with the Missouri based NCWTS team and Hoffman made his debut in a NASCAR dirt race. He went on to grab a top-10 run in the 2018 Eldora Dirt Derby. What was your impression of the trucks at Eldora? Did you test before you took the truck to Eldora? What did that cost you to run that? $20,000 but you finished top-10. So, do you come out positive? Probably not. 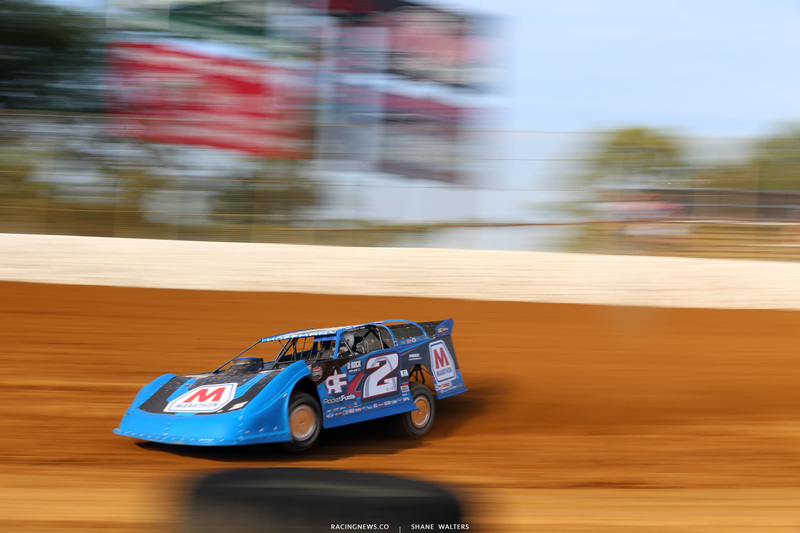 You have a fortune 500 company on your dirt late model. You’re one of the only drivers in the pit area to have a non-racing related company as the primary sponsor to begin with. How did that come about? “It’s pretty cool to make everything look so professional. In addition to Marathon. Rocket Fuel is also featured on the machine. That’s the new Jones owned gas station that was recently opened in Bedford, Indiana. Propane Direct is another logo featured on the machine. That is a Jones division as well. 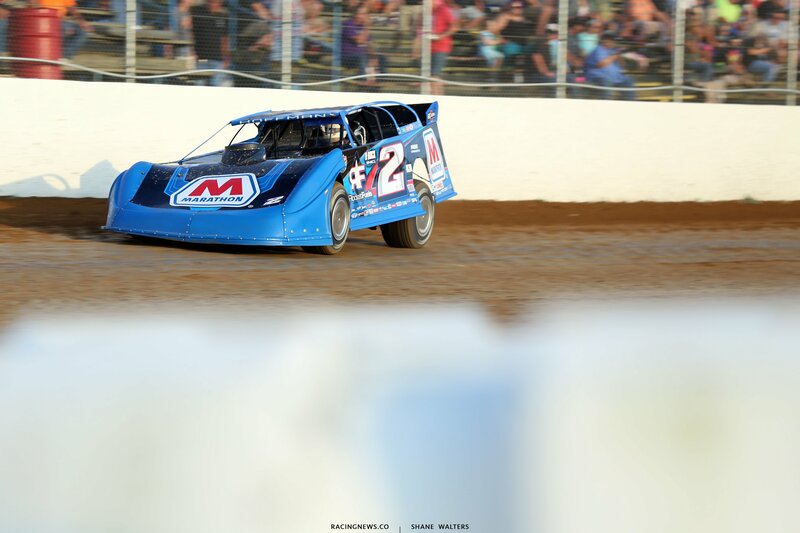 On Thursday night at Florence Speedway, Hoffman grabbed his first career Lucas Oil Late Model Dirt Series pole position. Hoffman ended the night with a 10th place effort. The race on the first night saw some rain fall on lap 22. The cars were sent to the outside pit area. As soon as they did that, the rain stopped. 5 minutes later, the cars were back on the track to complete the race. As soon as the green flag dropped, it started to rain again. It was a race to halfway where the race would be declared official. On Friday night, Hoffman battled to a podium finish. He finished 3rd as McCreadie went to victory lane. Saturday were a pair of heat races that set the lineup for Sunday’s $50,000 payout in the North South 100. Nick Hoffman started on the second row for the $50,000 to win show at Florence Speedway. He fell back early in the 100 lap main event. However, with 40 to go, he started found the cushion and started moving back toward the front of the field. He was in a battle for 4th when he jumped the cushion in turn four. Hoffman was sent to the back as he brought out the caution. He pulled off.